Is Coffee Actually Good For Your Health? 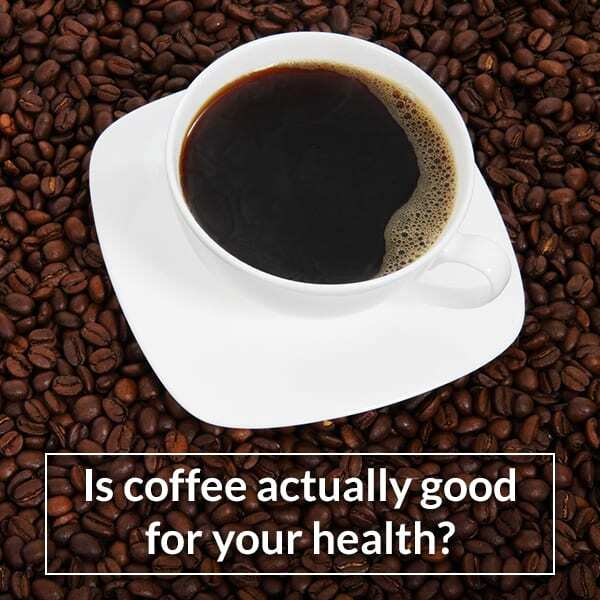 There have been numerous debates over the effects of coffee and we can easily say that there are two big sides: those who love it, claiming that it has just positive effects on your health and those who don’t want to hear about it, saying that it’s absolutely bad for you. But still, the question remains valid: is it actually good or not? Generally speaking, it is well known that coffee is rich in antioxidants and was multiple times linked to a reduced risk of many diseases. On the other side, it contains caffeine, known for causing problems in some people and disrupting sleep. Therefore, today we’re taking a few moments and discuss some of the most important pros and cons of coffee, in order to find, once and for all, an answer to the big question. Besides the above-mentioned benefit, the world’s favorite morning beverage also features several nutrients, like vitamins B2, B5, B1, B3, as well as folate, manganese, potassium, magnesium, or phosphorus, one cup containing a small part of the daily nutrient intake. Caffeine is not bad at all! Probably the most commonly consumed psychoactive substance in the world, caffeine works as a great stimulant. To be more specific, in the brain, it blocks the function of adenosine, an inhibitory brain transmitter. By doing this, it increases the activity in your brain and releases norepinephrine and dopamine, thus reducing tiredness and making you feel more alert. By the way, how many of you know that it can boost metabolism as well, by up to 11%? Studies have demonstrated that frequent coffee drinkers have up to a 65% lower risk of developing Alzheimer’s, as well as a 32 to 60% lower risk of Parkinson’s disease. Basically, the more coffee they drink, the lower the risk. But still, this doesn’t mean that they should exaggerate! Keeping it short, this type of diabetes is characterized by elevated blood sugars, as you develop a resistance to the effects of insulin. Well, you should know that coffee drinkers have a 23-67% reduced risk of developing this condition, according to multiple studies. Ok, so it’s pretty obvious that coffee has some serious benefits, but what about those minuses it’s highly criticized for by some people? For us, this is the main minus of drinking coffee, but again, it only happens if you can’t control yourself and drink way too many cups a day. To be more specific, consuming too much caffeine can lead to jitteriness, anxiety, heart palpitations, and even panic attacks. Some people are reportedly sensitive to caffeine and will become overstimulated by a single cup. Besides this, sleep disruption is another unwanted effect of too much caffeine. If you find yourself in this situation, try quitting coffee late in the day, like after 2:00 pm. Some people claim that caffeine has diuretic and blood pressure-raising effects, even though these usually dissipate with regular use. A slight increase in blood pressure may persist though. There were situations in which coffee fans claimed that enjoying this beverage, but we sure do know way better methods of blowing off some steam, like getting a massage. Maria’s Professional Massage can help to relieve tension and stress, dissolve pain and discomfort, increase blood circulation and, overall, make you feel fully relaxed. A licensed practitioner, Maria uses her cultural heritage as inspiration and guidance, combined with her modern western therapeutic education, delivering high-quality services.